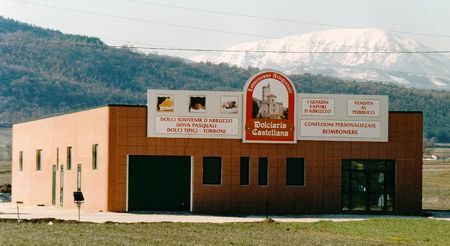 Our factory, located in Castel del Monte, a wonderful village of the province of L'Aquila, at 1364 m above sea-level under the lee of Campo Imperatore and the Gran Sasso, represents the development of a family tradition in sweet production: our organisation and installations have been always updated with the aim of increasing the production without reducing the quality of our work. The respect of hand made techniques has never been forgotten since, undoubtedly, they are the best way to offer wholesome, unadulterated and, above all, good products. The tradition begins with the ingredients: Abruzzo generally regarded as a synonymous of nature, thus permitting the production of very good raw materials not damaged by useless transports. Flour, eggs, sugar, oil and all other ingredients of our sweets are unadulterated and locally produced. We have great experience in their working and particular care is taken of recipes as well as all phases of production. 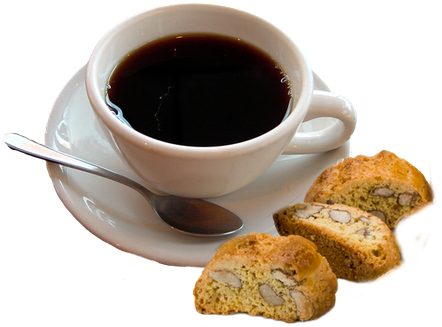 Organic Almond Biscotti 7 Oz. Crisp Chocolate Cookies Wt. 8,8 Oz. Chocolate Coated Almond Biscotti Wt. 6 Oz. Chocolate Coated Cappuccino Biscotti Wt. 6 Oz. 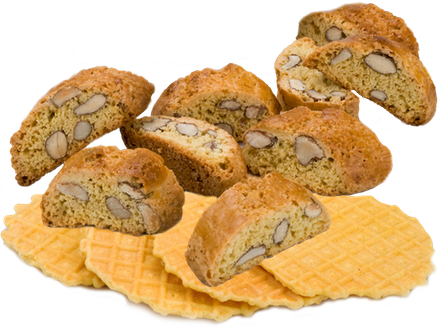 Almond Biscotti Wt. 6 Oz. Anise Cookies Wt. 6 Oz. 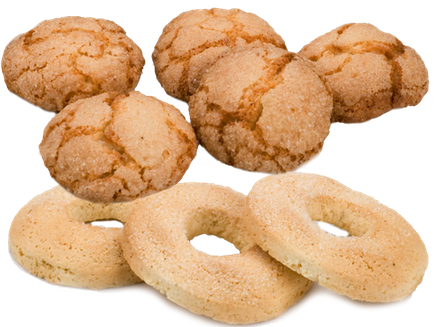 Almond Cookies WT. 8,8 Oz. Orange Pizzelle wt. 180 gr.